Noble Lodge is offering you the chance to win up to $600 dollars for any person, Unit, Lodge, or Organization for their participation in the parking activities for the Shriners' Circus in 2019. "...and the heart and tongue join in promoting each other's welfare, and rejoicing in each other's prosperity." You must check-in with the Lottery coordinator, or the Lodge Secretary who will record your participation. Riding in the cart under the age of 54, unless under a Physician's care, does not count as working. Noble Lodge pays to the name on the drawn chip. Noble Lodge's Installed Worshipful Master is always ineligible. All contestants will be issued their earned number of Poker Chips. Contestants will write to which Lodge, Unit, or organization they wish to represent. All designated chips will default to the participant. Personal names always accepted. Drawing to be held, in open session, at the next convenient Regular Communication of Noble Lodge #684. Participants are always welcome for dinner before hand. Please let the Junior Warden know you're comin' hungry. All earned chips will go into a hat. 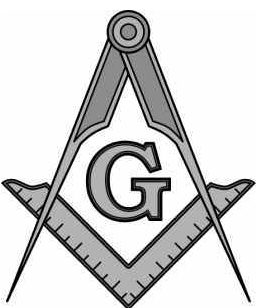 A dignified person, and how can that be difficult with a room full of Masons, shall draw. Winners need not be present to win.